Born in Utah, Lani Poulson’s career has been predominantly based in Europe. A freelance singer since 1984, she has had a close association with three major houses: Théâtre Royal de la Monnaie in Brussels, Semperoper in Dresden and Staatsoper Stuttgart. With La Monnaie she sung many performances both in Brussels and on tour, in roles such as Countess Geschwitz, Octavian and Ramiro (La finta giardiniera). At the Semperoper she sang the roles of Sextus and Octavian for six seasons. In Stuttgart she was able to demonstrate another aspect of her art, her exceptional gifts as an interpreter of contemporary opera: as the Mother in Nono’s Al gran sole carico d’amore; in the world premiere productions of Sciarrino’s Perseo ed Andromeda, Rihm’s Das Schweigen der Sirenen and Breitscheid’s Im Spiegel wohnen. Moreover she has sung many performances of roles from her standard repertoire as a guest in Stuttgart (Lady Begbick and 2nd Norn, for instance). 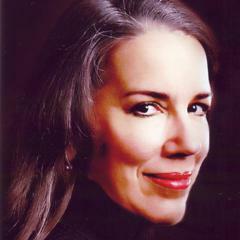 Other major opera houses where Lani Poulson has appeared include those in: Munich, Berlin, Frankfurt, Hamburg, Düsseldorf, Mannheim; Amsterdam, Madrid, Barcelona, Drottningholm, Lisbon, Budapest, Tel Aviv, Strasbourg, Verona, Trieste, Montpellier, Graz and Antwerp. In some of these, too, she has sung in major 20th and 21st century operas, for instance Zimmermann’s Die Soldaten and the leading role in Vivier’s Kopernikus at the Nederlandse Opera in Amsterdam. Among her most recent engagements were new productions of Parsifal (Blumenmädchen) in Valencia with Lorin Maazel, and Lady Macbeth of Mzensk (Sonietka) at the Opéra Bastille, Paris with Mariss Jansons. In July 2012, at the Malta Festival in Poznan, she sang the role of Elizabeth Costello in the world premiere of Nicholas Lens’ Opera Slow Man. Her concert engagements reflect the same balance between new and old music. Her 20th century repertoire includes concert performances of Die Jakobsleiter and Der ferne Klang in the Concertgebouw, Amsterdam; Grisey’s L’icône paradoxale in Vienna, Paris, Freiburg, Amsterdam, Berlin, Düsseldorf and Brussels; and Szymanowski’s Stabat Mater in Berlin.